Black employees in the Kruger National Park claim that the park is rife with racism and inequality, bringing to mind George Orwell’s book Animal Farm, in which “all animals are equal, but some animals are more equal than others”. The employees have accused the management of only acting against black employees – even on false allegations – while white employees are let off the hook. City Press has seen copies of letters that some black employees addressed to SANParks management to complain about the unfair practices and, when they received no reply, they wrote to Parliament and President Cyril Ramaphosa’s office to request an intervention. Eubert Chabane, an employee benefits officer who was sacked on March 27 2017 for allowing his friend’s family to sleep at his official residence in Skukuza, the administrative headquarters and main camp of the Kruger National Park, accused management of being biased against black people. Chabane is fighting his case in the labour court because he claims that he did not benefit, nor did he defraud SANParks, by hosting the family. Black people, according to employees, are often accused of rhino poaching, and get assaulted by rangers and police to force them into confessing. SANParks has denied the allegations that black and white employees are treated differently.
. Gideon Sibuyi was also allegedly assaulted after he was implicated in rhino poaching, but no evidence was found against him. The employees also spoke of parallel cases against white employees accused of offences, but they were let off the hook. A white employee, whose name was provided to City Press, was allegedly found in possession of rhino horns, but no action was taken against him. Another white employee was allegedly found drinking while on duty. He allegedly gave his uniform to a guest and let the guest drive a SANParks safari vehicle. The employee was dismissed, but was later reinstated. SANParks spokesperson Isaac Phaahla said that, in all of the cases, due process was followed and SANParks had won all the those cases that had been referred to the Commission for Conciliation, Mediation and Arbitration. “There is always an internal disciplinary process that is undertaken when an employee is found to have acted improperly and against company policy. South Africa has labour laws that protect employees and employers, and SANParks is expected to act according to those laws. In these cases, the same approach was applied where an employee who is accused is presumed innocent until proven otherwise,” Phaahla said. “In all the mentioned cases, due process was followed and there are documented records to show the matters were dealt with impartially regardless of race,” he added. A SANParks employee, who spoke on condition of anonymity, said that he had decided to take the matter further after SANParks management did not act. 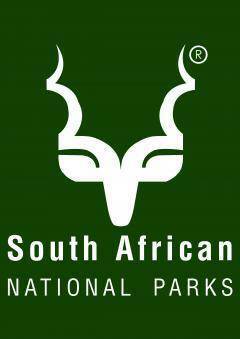 “There’s evidence, but SANParks is not acting and will keep on denying. We hope the president and the Public Protector will deal with these complaints after I submitted them,” he said.